UFCW Local 663 and union grocery stores across Minnesota will partner with Leukemia & Lymphoma Society once again for the second annual Labor Against Cancer retail campaign to end blood cancer. Customers shopping at participating union grocery stores can donate at the register as their cashiers will ask them to contribute. Donations go directly to Leukemia & Lymphoma Society to assist patients and important groundbreaking research to cure blood cancers. 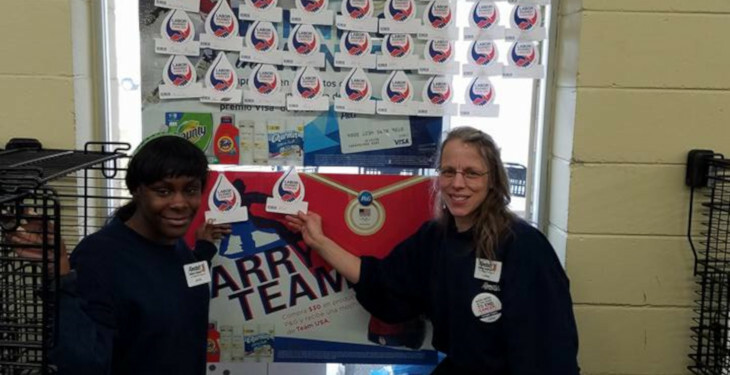 In 2017, UFCW Local 663 and Quisberg’s Cub Foods in Brainerd Lakes launched the first ever Labor Against Cancer retail campaign and raised over $5700 in rural Minnesota! In addition, UFCW Local 663 and UFCW Local 1189 partnered together with union grocers last year to raise over $50,000. Local 663 continues to consistently support Labor Against Cancer initiatives and recently held an annual bowling tournament that raised over $2800. “Our union family is proud to be partnering with neighborhood union grocery stores to find a cure that impacts millions of people. We all know someone who’s been impacted by blood cancer. Every dollar raised is one dollar closer to ending cancer,“ said Matt Utecht, President of UFCW Local 663. To make an online donation, click here and make sure to enter Local 663! Thank you. Click here for more information on the 2012 Health Fair!